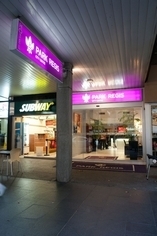 Park Regis City Centre in Sydney, is surrounded by Sydney's best shopping, entertainment and sightseeing. Park Regis City Centre cannot be beaten for service and affordability. 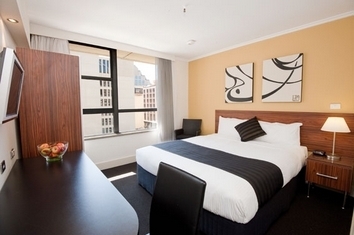 Designed to cater for the corporate and tourism markets, Park Regis City Centre is a refurbished 3.5 star hotel located in the heart of Sydney CBD. 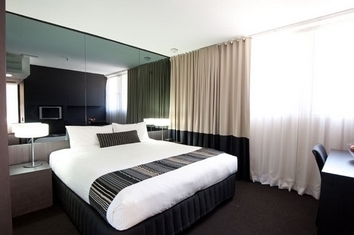 Park Regis City Centre boasts 122 beautifully appointed rooms located from level 6 to 15 of the 45 storey Park Regis. Park Regis City Centre offers 24 hour reception, security lifts, undercover car parking (charge applies) and a rooftop outdoor pool and sundeck that affords magnificent 360 degree views over Sydney Harbour, Darling Harbour and the city. 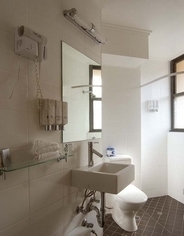 Park Regis-Sydney's modern décor includes amenities such as air-conditioning, ensuite showers, hairdryer, tea and coffee making facilities, refrigerator,WIFI / high speed internet connection (fees apply), direct dial telephone and 32" HD TV. 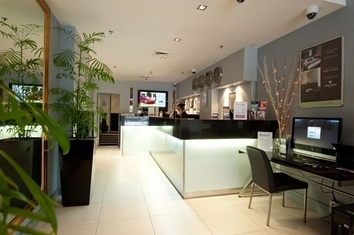 For your comfort Park Regis Sydney is a non smoking hotel. 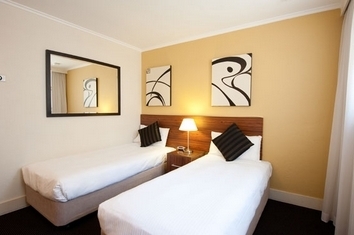 King or Twin Executive bedrooms with views over Hyde Park and St Marys Cathedral. 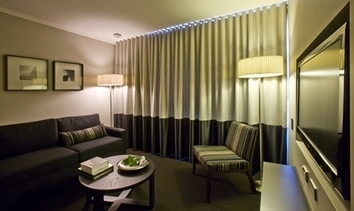 Modern decor with LCD TV's and complimentary slippers, tea & coffee for 2. Modern in style & great in value. Absolute city centre surrounded by Sydney's best shopping & entertainment. 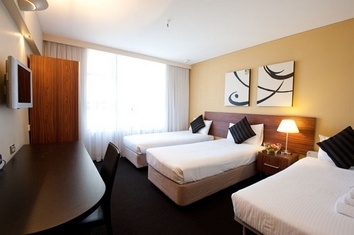 King & Queen rooms for 2 with LCD TVs, tea & coffee. Rooftop pool/observation deck. Modern in style & great in value. 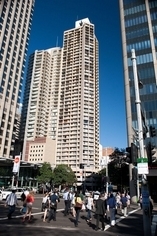 Absolute city centre surrounded by Sydney's best shopping & entertainment. 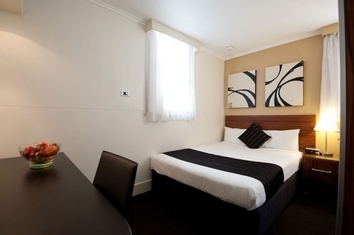 Premier Twin rooms for 2 with LCD TVs, tea & coffee. Rooftop pool/observation deck. All rooms in the hotel have WIFI/broadband internet access via Cat5 data ports and we offer fax, photocopy and business services. You will be asked for your booking confirmation voucher at check in, so please print and retain your confirmation and present it, along with personal identification. Guests are required to leave a credit card imprint or cash deposit on check in. We have on-site undercover car parking available subject to availability. A charge of $35 applies per day, car must be out from the car park upon check out. The Airporter bus meets all flights and drops at our front door. 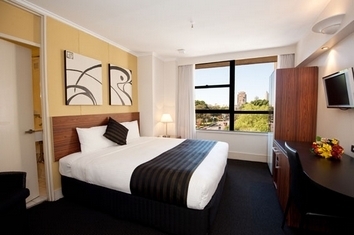 You'll find the Sydney Cricket Ground, Darling Harbour, Sydney Harbour and The Rocks close by. Clubs, pubs and fine or casual dining are no more than a nice walk away. Being in the hub of Sydney, everything our great city has to offer is easily accessible. 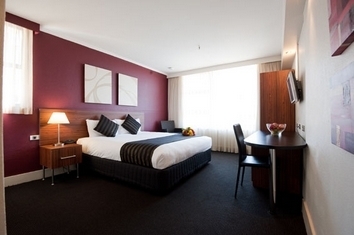 Stay at the Park Regis City Centre - Great City Living with that Great City Feeling.